Stoves with a stylish and modern look to them, with the benefits of modern steel work and design. The Shape 2 is a stunning wood burning stove that will bring life into your living space, whilst offering a generous flame viewing window. 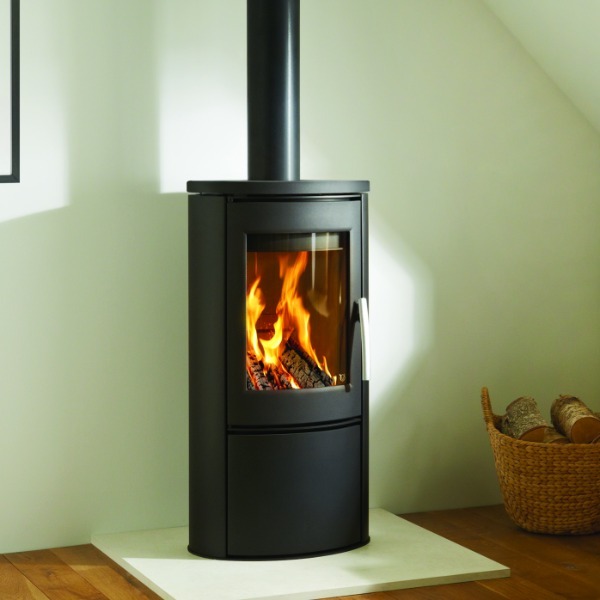 The Shape 2 is a slimline wood burning stove with tall and slender proportions available in top or rear flue options. The Shape 2 comes with Varde‘s AirBox system that allows the choice of an external air supply if desired. The Shape 2 also offers the option of complementing the stove with either a beautiful Soapstone or Sandstone top, creating a stunning centrepiece for your room.